I’m thrilled to be kicking off our Grass Fed Salsa Q&A series by sharing the amazing story of Anna, a beautiful four year old, told to us by her mother, Ashley. 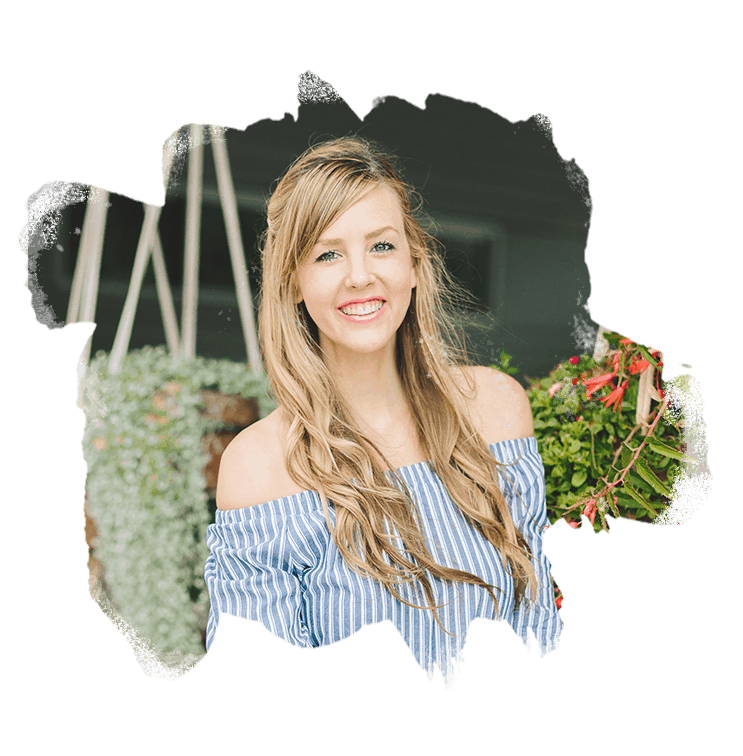 I’ve known Ashley for nearly a decade, and have been completely immersed in her daughter’s epilepic journey, from diagnosis to treatment through a ketogenic diet for epilepsy. Today, I’m sharing Part One which include the first four questions I asked Ashley. I’ll be posting Part Two later this week. 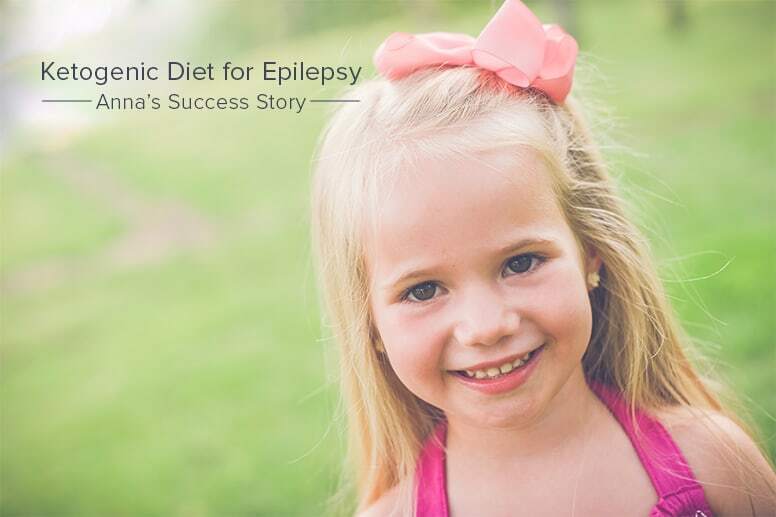 Ashley has incredible knowledge about how her family made a ketogenic diet for epilepsy work to treat their daughter’s disease, and we are so lucky to have her share her experience and tips with us. Let me just start by filling you in on he basics of a ketogenic diet, although Ashley shares more detail about the diet in question four. A ketogenic, or keto, diet is a very high fat, low carb diet that requires the person (or in this case, child) to consume about 2/3s of their daily calories from fat. This allows the dieter brain to burn ketones (which are formed when following a keto diet) as opposed to glucose (which is converted from carbohydrates and sugars). Keto diets have been studied and proven to be an effective treatment for epilepsy, and are currently being studied as a method to treat certain types of cancers, as well as neurological conditions like ALS, Parkinson’s disease and Alzheimer’s disease. They’ve also been proved to be effective for weight loss, diabetes management, lowering blood glucose levels, and decreasing insulin resistance. My name is Ashley Gepner. I grew up in a small town, Tonganoxie, Kansas. After high school, I attended Washburn University in hopes to become a nurse; however, I changed my major to elementary education and transferred to Kansas State University. My boyfriend, Mark (high school sweetheart), attended there and it just seemed like the right thing to do. I graduated from there in the spring of 2006 and began teaching in my hometown that fall. During my first two years of teaching, I took online classes through Emporia State University to earn my Master’s Degree in Adaptive Special Education. In 2008, Mark and I were married. We just celebrated our sixth wedding anniversary. We’ve been blessed with three beautiful children: Anna (4), Nolan (2), and Ella (3 ½ months). I taught in the Tonganoxie School District for eight years. I am now a stay-at-home mom due to daycare being expensive and Anna’s ketogenic diet being time consuming. I’m really considering going back to school to become a registered dietician and working with other keto families. Anna appears to be a typical 4-year old. She is fun, loving, caring, and quite silly. She is involved in soccer, cheer, tumbling, and preschool. She is learning quite rapidly and amazes us every day. She loves life; My Little Ponies; singing; playing with her siblings, cousins, and friends; and going to school. When Anna was 2 ½, we were hanging out with some good friends of ours on a Friday or Saturday evening. Anna was jumping on her friend, Cody’s bed, and fell and hit her head pretty hard on the bedside table. Mark and I watched her all night, afraid she may have a concussion. It was on this night that we first noticed her epilepsy; however, we didn’t know that’s what it was at the time. Anna’s head kept dropping down. When someone is really tired and is fighting falling asleep, sometimes his or her head will drop as he or she wakes back up. That’s what Anna’s head drop looked like. She was up past her bedtime that night and was tired, so we figured that was it. Unfortunately, the head drops continued. Her little brother had a check-up soon after this was noticed, so I brought it up to our pediatrician at that appointment and asked if I should make another appointment for Anna. He didn’t think much of it and said that most children have myclonic tics (a brief, involuntary twitching of a muscle or a group of muscles) of some sort and it probably wasn’t a very big deal. These head drops continued on and became known as the “shakes” in our house. In March, at Anna’s 3-year check-up, I brought the issue up again because they were still going on. Again, our pediatrician dismissed that it was anything other than a myclonic tic. Another six months went by. Mark and I were getting really worried because we knew something wasn’t right. Mark started doing some research of his own and pretty much diagnosed Anna with atonic/myclonic epilepsy. This concerned us greatly because many children whom have this type of epilepsy are very normal developing kids, but quickly become mentally handicapped due to the condition. This scared us horribly! Before we got an appointment for her, Anna had one of her “shakes” while standing on a barstool in the garage and fell and hit her head. She ended up with four staples. I made Anna an appointment for the next week with our pediatrician to refer us to a neurologist or we’d have to find another practioner who would. Mark came to that appointment with me and we were ready for battle. Fortunately, the staples in the head was a concern for him and we were referred to a neurologist in Topeka. We started there because we could get in quickly, unlike at Children’s Mercy. On October 29, 2013, Anna had her first EEG and was diagnosed with epilepsy. Dr. Katz eased our fears about her development. Anna’s seizures had been going on for a year at this point and she wasn’t mentally handicapped in any way and continued to learn new things. Dr. Katz suggested we put Anna on a medication known as Keppra. He thought this was the best choice because it doesn’t affect the organs in any way. A major side effect; however, is severe moodiness. The last thing any parent wants to do is medicate their child. We opted for a second opinion and Dr. Katz got us into Children’s Mercy just a couple days later. We didn’t have to repeat the EEG at this time, but the results of the previous one were sent over. We got in quickly because we saw the nurse practioner (whom we still see and LOVE) instead of a neurologist. She suggested the exact same thing, Keppra. We started Anna on the Keppra and saw some moodiness right away. Luckily for us, after a few weeks, that subsided. The Keppra helped with Anna’s seizures by cutting them in half. Prior to our neurology appointment, we started keeping track of how many “shakes” Anna had per day. We would get between 12-20. Keep in mind that these are hard to see. If you aren’t watching Anna closely, you can completely miss them. Her head drops and comes back up in less than a seconds time. So, she could have been having way more. At the beginning of March, Anna was still having 9-12 seizures a day (that we knew of) and we started a second medication, Zonegram. Again, this helped by cutting them back to about 6 per day, but it didn’t completely stop them. At the end of March, we had a follow-up appointment and because she was still having seizures, she was diagnosed with Doose Syndrome (a form of epilepsy resistant to medication) and the ketogenic diet was suggested to us. I had actually read about this a few weeks prior to the appointment. I immediately began to cry at the suggestion because it’s an intense diet. When I read the article about it, I struggled following it because it’s so scientific. It just seemed confusing and intense. They wanted to start it right away, but I had a hard time with this. For implementation into the diet, Anna would have to be hospitalized for about a week’s time so they could monitor her and make sure her blood didn’t become acidic. I had just started the last nine weeks of school and was pregnant and due in August, so I was going to miss the first part of the next school year. I didn’t want to have to take off work. For selfish reasons, we waited to start the diet in May once school got out so that Mark and I could fully commit and implement it well. Throughout April and May, we limited her carbs and sugars, knowing that was part of the ketogenic diet. On Tuesday, May 27, Anna was admitted into Children’s Mercy and began the ketogenic diet on a 1:1 ratio. The goal was to increase it each day. Day two would be a 2:1 ratio and day three would be a 3:1 ratio. The ratio refers to the amount of fats: proteins/carbs combined. For example, on a 1:1 ratio, Anna would eat one fat for everyone one protein and carb combined. On a 2:1 ratio, she would eat two fats for every one protein and carb combined. The first two days were a breeze. Anna adjusted quite well to the increased fats and rode a tricycle around the halls. We were actually going to be discharged on Thursday because she adjusted so well, and she had already gone into the state of ketosis, meaning her body was now burning the fat, but by Thursday afternoon, Anna became lethargic, threw-up, and her CO2 levels in her blood were too low, along with her blood sugar. We ended up staying till Saturday. We came home on a low ratio (1.5:1) and have increased it slowly since being home. We’ve now been on the diet for six months, along with medication, and it’s working wonderfully for her. We will discuss backing off the medication at her next appointment and seeing if the diet alone will work for her. Starting this diet was hard. Seeing Anna in the hospital those last couple days before we were discharged really made me wonder if we were doing the right thing. She was still taking all her medications while there, but was having way more seizures than she typically had. The doctors informed me that her body was in shock to the new diet and her body’s reaction to dealing with that shock was to seize. There was one time when she had 5 seizures back-to-back and even had an absent seizure during that spell. It was so scary to see her head drop so many times in a row and then not respond to me. However, a few days after the hospital stay, we started to see improvements pretty quickly. She went a day without seizures and then would go a day or two. We got discharged on Saturday and actually left for Mexico that next Tuesday. While we were in Mexico, she made it 5 days without any. We never expected to see the results so immediately. We were told it could take up to 6 months before we’d see huge changes. Time went on and the seizures became less and less. She went 2 months and 2 days without any (July 4-September 6) and now we’ve made it 3 months without any. Besides just seeing Anna seizure free, she seems to have a sparkle back in her eyes that had disappeared for awhile. Anna says she feels better too. She never complained of feeling bad that first year and a half with the “shakes”, but for her to recognize that she feels different, that’s huge. The ketogenic diet is a high-fat, adequate-protein, low-carbohydrate diet that in medicine is used primarily to treat difficult-to-control (refractory) epilepsy in children. The diet forces the body to burn fats rather than carbohydrates. Normally, the carbohydrates contained in food are converted into glucose, which is then transported around the body and is particularly important in fueling brain function. However, if there is very little carbohydrate in the diet, the liver converts fat into fatty acids and ketone bodies. The ketone bodies pass into the brain and replace glucose as an energy source. An elevated level of ketone bodies in the blood, a state known as ketosis, leads to a reduction in the frequency of epileptic seizures. The ketogenic diet is a mimic of fasting. When a person fasts, the body naturally burns the body’s fats. With the diet; however, the fat is being supplied. The doctors aren’t sure why this works, but they know it does. It has been used since the 1920s. Children’s Mercy is actually doing a research study to record success and failures in hopes to find out why it does work. Anna is part of this study. Any questions for Ashley? Leave them in the comments below. Click here to read Part Two. Though I didn’t suffer from epilepsy. A healthy lifestyle makes you feel better than any diet ever has. I love how detailed you explained keto diet. My keto journey helped me a lot with my body and mind system. I now live life on my own terms, physically charged and with a clarity of mind and a purpose that I have never experienced before. This is amazing! I’m so happy to hear you’ve had a position keto experience! Thanks for this post. I really enjoy your point of view on Epilepsy. This reminds me of when I was suffering from Epilepsy. I had tried lots of things but nothing worked for me. One day I saw an article about Epilepsy and read about PeaPlex and I saw the reference to RS4supplements.com. I ordered it and now I am completely feeling better. I’m wondering how she did and if she was successfully weaned off the diet after a couple of years? My 3 year old daughter has these same seizures, just a little flutter of the eyes and drop of the head, so easy to miss! She was diagnosed with Doose Syndrome in January of this year, and we are finally going to try a Modified Atkins Diet for her. She did!! As of August 1st she’s been medication and seizure free for 1,000 days. She’s been on a full ketogenic diet for 4 years now. Wow, what Ana amazing story. Our son has been diagnosed with tuberous sclerosis and with that refractory epilepsy. We start the ketogenic diet next week. Would Ashley be open to emailing me to chat further? Mainly about implementing the diet at home?